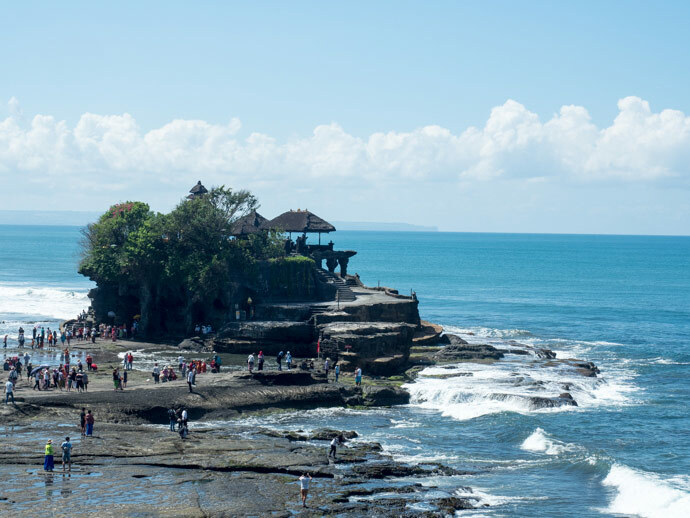 Bali is filled with incredible things to see and do and Tanah Lot is one of them. Sunset is one of the most popular times to visit this temple but is it the best time to visit? 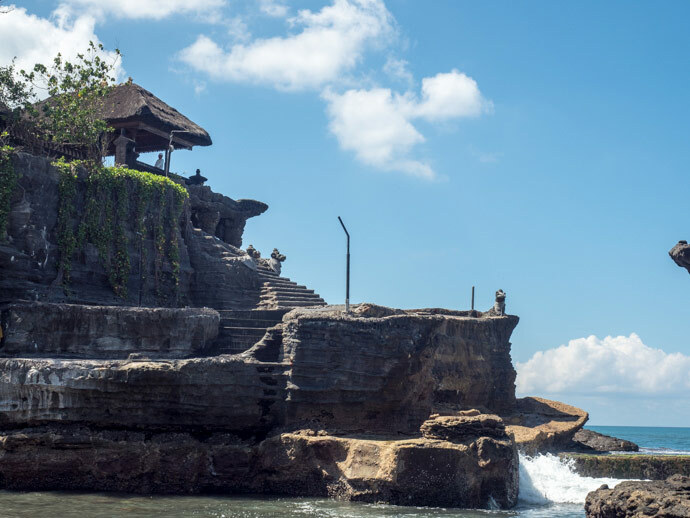 Tanah Lot is home to not only pretty scenery but a special temple too. 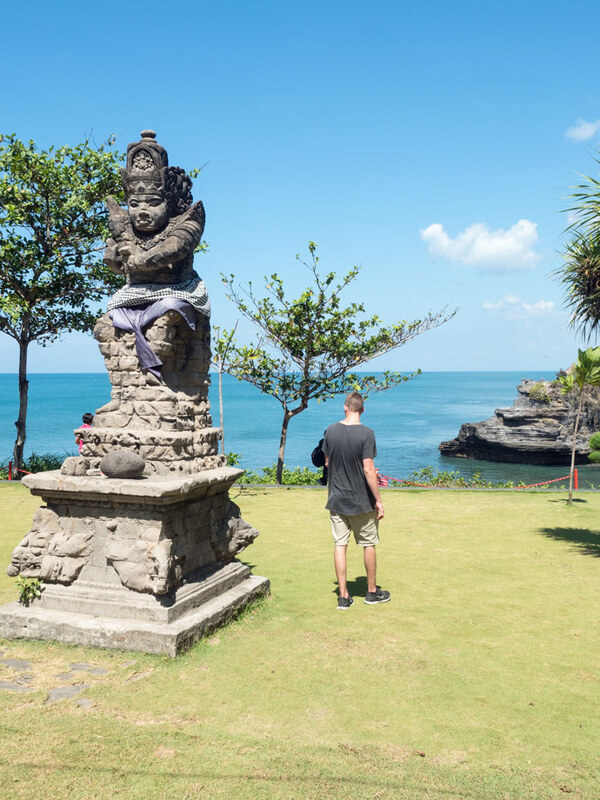 There are so many incredible temples in Bali it would be impossible to pick a favourite, but Tanah Lot was definitely worth a visit. 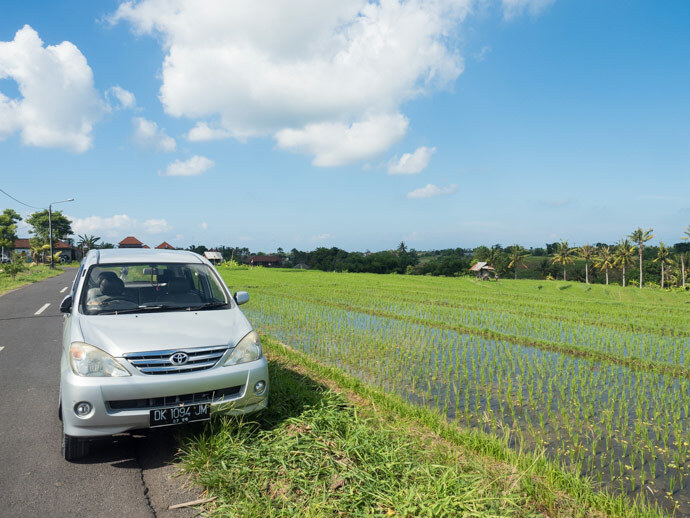 We used a Private Driver which we think is one of the best and stress free ways to experience parts of Bali. 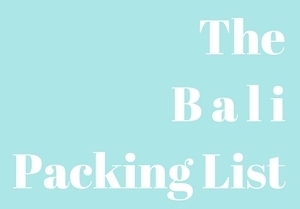 Taxi is another option but you would need to pay for the taxi to wait, and for parking, as you may have trouble getting a taxi for you return trip. 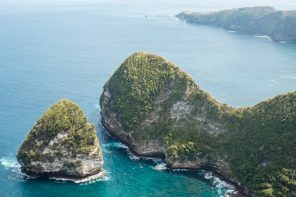 Private Drivers may seem and may be more expensive, however you may be able to plan your trip so you can use a private driver in-between accommodation and see a few different amazing places on the way, making it a lot more value. You could do it as part of an organised tour too, if that is something you enjoy. 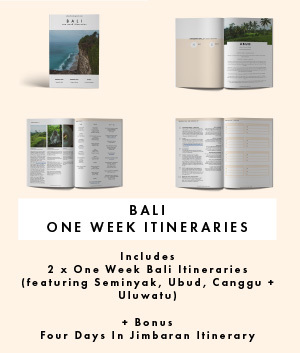 How long from Seminyak to Tanah Lot? Around the 40 Minute mark depending on traffic, but if you go for sunset we have heard this could double or even triple. Same applies when you and everyone else there leave straight after sunset. We left from Canggu to Tanah Lot and it took us about 20 minutes. 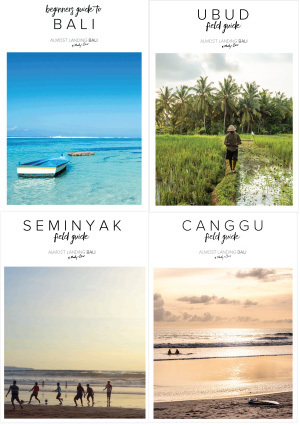 The current price is now 60,000 IDR. If you want to experience a blessing at the temple a small donation is needed. Is Sunset The Best Time To Go To Tanah Lot? We had plans to make the trip to Tanah Lot for sunset on previous trips but never managed to make it. Traffic played a role for one our cancelations to the temple. This in mind we changed our Tanah Lot game plan this time round. 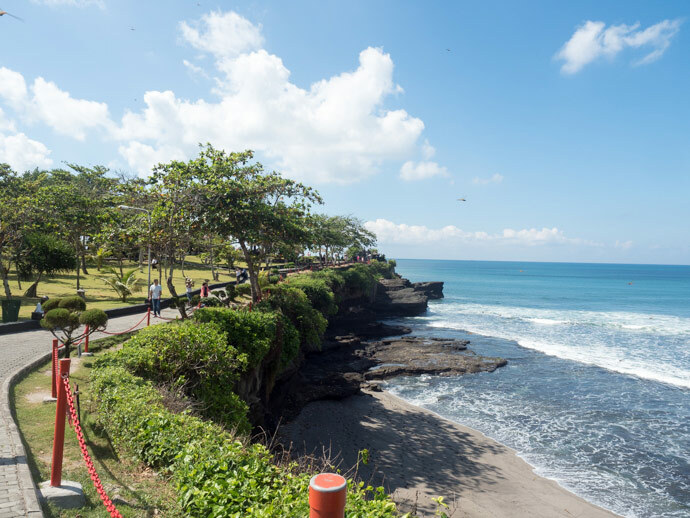 Both getting to and from sunset at Tanah Lot brings massive traffic congestion. One road in and one road out. You will need to be patient. Not one of my strong points when it comes to travel. We decided to try to avoid as much of the crowds as possible and avoid sunset. Bali is filled with incredible sunset spots so its not a huge sacrifice at all. 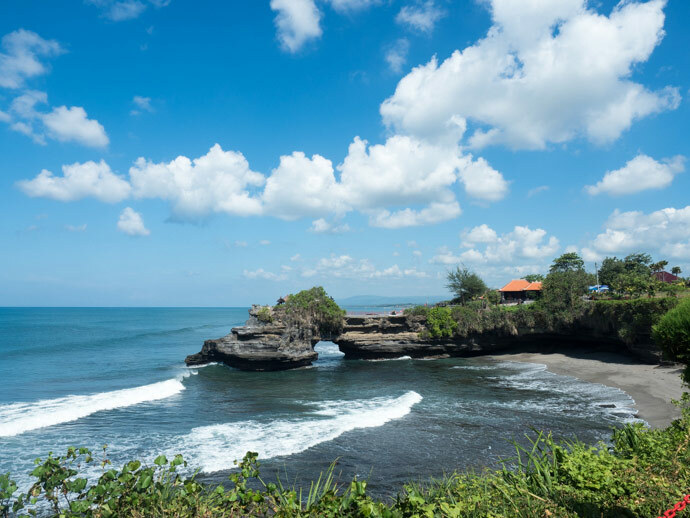 We had a private driver starting from Canggu and ending in Ubud, so we decided that Tanah Lot could be a stop on the way. When we got there, around 9am it was already very hot and not too busy but definitely a lot of visitors. If your planning when to come, and are happy to miss sunset, try to arrive in the morning before 10am. We left around 10am and it was really getting busy with tour groups by then. Also like all over Bali, the heat can get intense. Although we have seen some photographers getting incredible photos at high tide with the temple being an ‘island’ with soft flowing water all around it, and sunset looking amazing, we think that the morning is a great alternative. 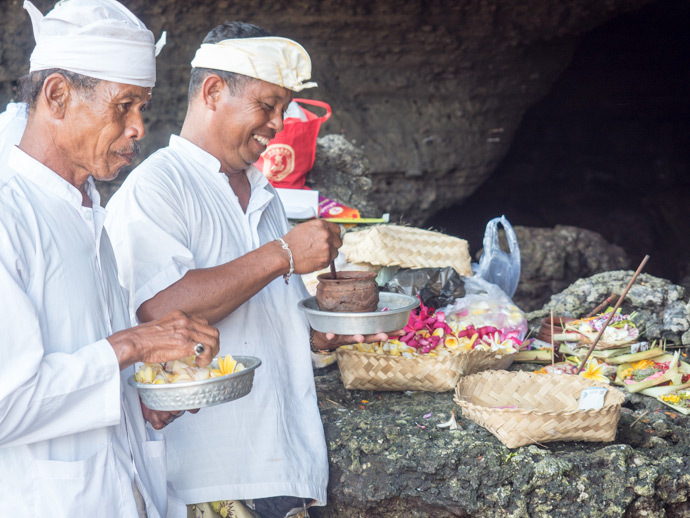 Not only can you walk over to the temple and get blessed, from the stories and traffic we have both heard and experienced, you will have a lot less time in traffic and experience Tanah Lot in a more relaxed way. 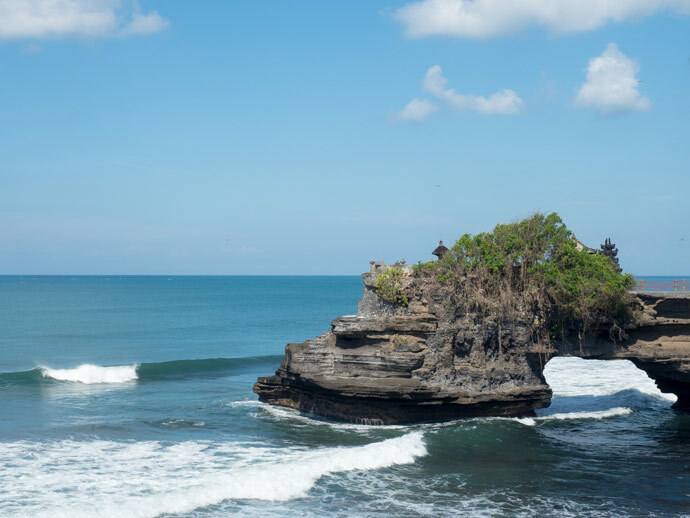 Is Tanah Lot Worth It? The pathways and grounds were pretty well maintained and I really enjoyed it from the get go. 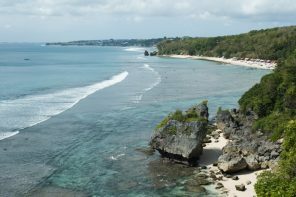 It was really nice from the clifftops looking out to the sea, the temples and the beaches. 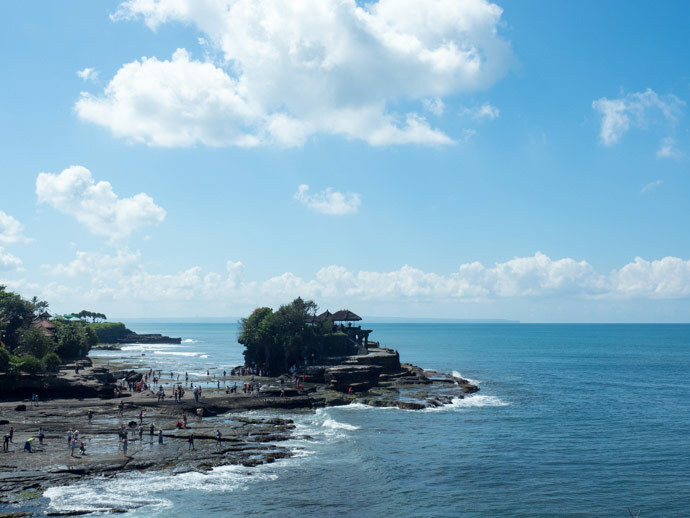 The Tanah Lot Temple itself is what most people come for. We timed the tides well, in that we could walk across to the temple, experience the blessings and get back to ‘land’ before the tide gets too high. 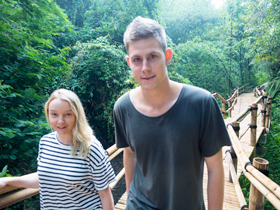 By the time we left you would have needed to take your shoes off and walked through shallow flowing water to get across, and I believe that during high tide you cannot get across at all. I was slightly disappointed that the whole temple was not able to be visited. In fact the whole temple section seen on the top of the island is not able to be visited, which I can respect as the amount of people that would visit the top may be detrimental to the temple, so at the end of the day I am happy to have it unaccessible to visitors. Overall, crowds included, we enjoyed Tanah Lot and are glad we went. 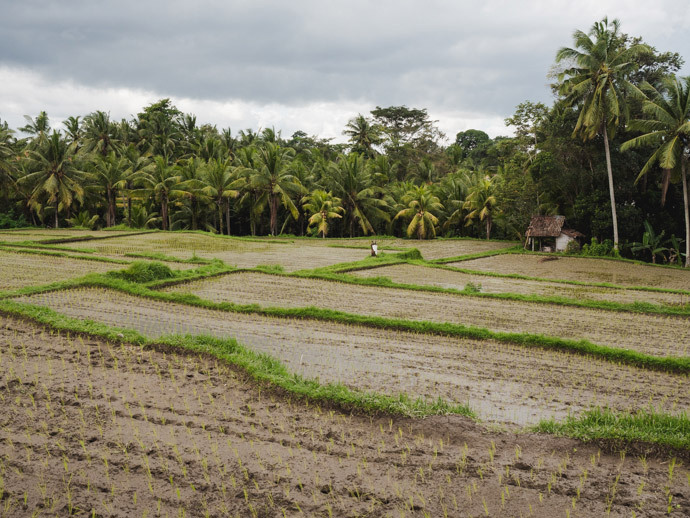 With so many incredible temples in Bali you may need to decide which you would prefer to see. 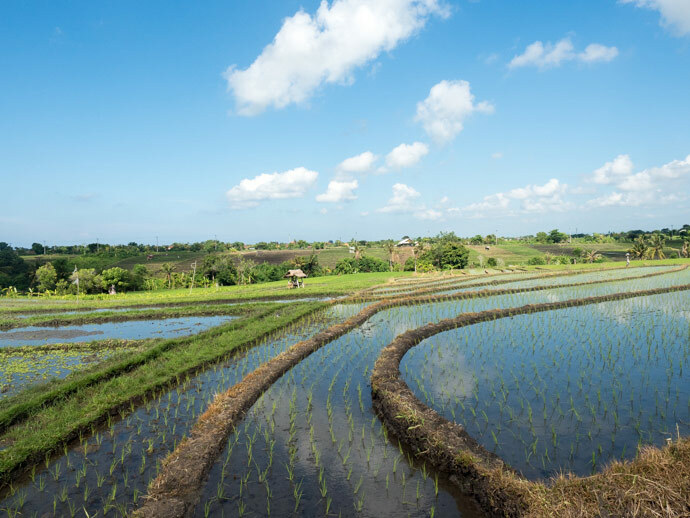 The rest of your Bali itinerary would play a role too, but if you can visit, we think it is worth it. 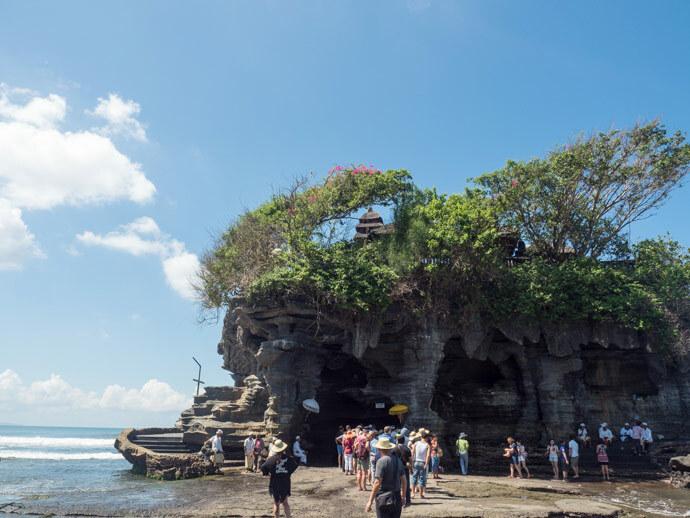 The entrance fee to Tanah Lot as of April 2017 is now 60,000 IDR. As per the post it gets very very busy around 10.00am onwards.